If you need plumbing work done it's important to get trusted local recommendations. 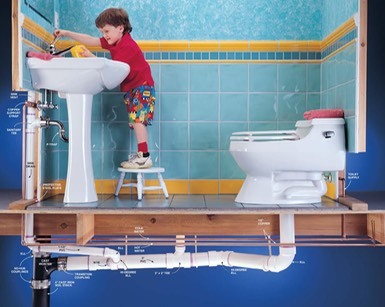 Local Mums give their recommendations for local plumbing services here. "I highly recommend C and S Plumbing and Heating to all Local Mums.�Lee was punctual and tidy in his work. We had no heating and as a mum of three (one a baby) it was important that the work was carried out efficiently. There were no hidden costs. What was quoted was what was paid. Nothing was a problem and solutions and alternatives were always provided. It was clear Lee knew what he was talking about and that he has a love for the job he does. When talking about the work carried out to a friend by coincidence she had used�C and S Plumbing and Heating�on recommendation for a boiler problem after being told "You must use this company." I couldn't agree more!" "I recommend�C and S Plumbing and Heating�to Local Mums.�Lee is the most reliable and honest person I have ever dealt with. He sorted out property with my tenants while I was on holiday. I cannot recommend�C and S Plumbing and Heating�highly enough." "I recommend�C and S Plumbing and Heating��to all Local Mums. Lee offered sensible advice throughout, he was pleasant to deal with, he turned up on time, got the job done in the agreed budget and left the place tidy afterwards. Can't ask for more really!" We are a family-run business whose ethos is to provide a competent and caring service. Lee and Shelley have been trading as�C and S Plumbing and Heating�for over seven years. We have worked in the gas and heating industry for a lot longer, so we have lots of experience. � We have seen how the industry has changed over the years and we are continuously learning new things, which we like to keep our customers up-to-date with. Customer satisfaction is our main priority and we pride ourselves on good workmanship and reputation. A high percentage of our work is generated from returning customers and customer recommendations, which we feel really pleased about. C and S Plumbing and Heating�have the following exclusive offer for Local Mums: �10 off boilers services, 20% off first hour of labour costs and FREE estimates (subject to T&Cs).�Just quote 'CMSpring' to benefit from this great offer.